Want to see some of the recent wedding films we've produced? Awesome, you’ve come to the right place! These films are typically 3-5 minutes in duration and feature the best moments of your wedding day. Your wedding recap film highlights segments of your preparations, ceremony, cocktail hour, and reception. The footage is edited out of chronological order and will skip around to different parts of the day. We find that this allows us to convey a heartfelt and meaningful story of your day while showcasing all the highlights of the day! Similar to the Wedding Recap Film, Wedding Feature Films are full of cinematic imagery and artistic editing. With a duration between 10-20 minutes, these films are the perfect way to showcase your entire wedding day with more details, more toasts, and more fun than in the short-form Wedding Recap Film! The footage still displays out of chronological order... so we may start your film with a best man or maid of honor giving a toast, then jump back in time to preparations, then jump ahead to dancing, then jump back to the ceremony, and so on. 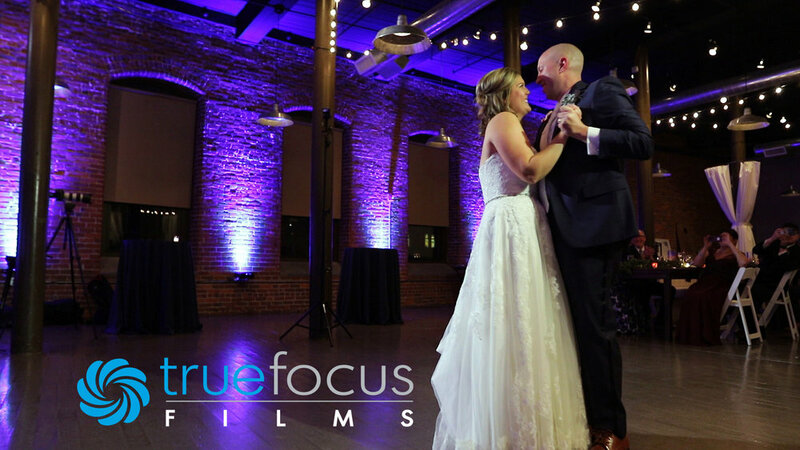 Our goal is to tell the story of your wedding day filled with natural emotion and excitement, and our premium Wedding Feature Film captures all the great memories and preserves them forever.